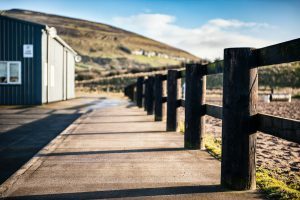 Keash Equestrian Centre is located 20minutes from Sligo Town and 10minutes from Boyle Town. The village itself is situated just 2 miles from Ballymote. When you come into Ballymote take the Boyle road and we are on the left hand side approx 2 miles from the town. If you are coming from Boyle you take the Ballymote road and we are approx 9mile from there on the right hand side. Keash is well know for it caves and beautiful countryside. As your travelling into our equestrian centre you can see the caves of Keash above us. One of our most popular events in Keash is Garland Sunday, which is held on the last Sunday of July each year. Adults and children come from all over to enjoy the fun and games held at this event. For booking accomodation/information on Boyle and surounding areas go to www.unabhan.net or contact Una Bhan tourism co.operative on (071)9663033. We also cater for full/d.i.y Livery, Registered and Unregistered Show Jumping, Cross Country events in out door arena, Dressage Shows and Pony Camps during all school holidays. For full details contact Eilish on 0876772094 or Daniel on 0876118705. Also our landline is 071 9189673. There are excellent parking facilities at out equestrian centre for all types of lorries and horse boxes, disabled parking. In our riding school safety is paramount and for this reason all riders are checked before they mount and also while they are on the horses. All our riders must wear the safety helmets provided. Keash Equestrian Centre welcomes you all to their centre where you will be met with a warm and friendly smile from their proprietor and manager Eilish and all the staff.